In today’s technological climate, it takes more than a Facebook and Twitter account to make your business popular and successful. There are many ingredients you need to add to the mixing bowl if you wish for your business to become the one to beat. You have to think outside of the box when it comes to customer service, social media marketing, and content creation. At times, it can all feel too much. In recent years, there has been an undeniable shift with regards to what type of technology the average person is now using to access the Internet. No longer are people spending hours upon hours on their PCs. Today, mobile phones offer easy and instant access to pretty much everything the World Wide Web has to offer. Why would someone boot up their PC when the phone in their hands can do just as good a job? 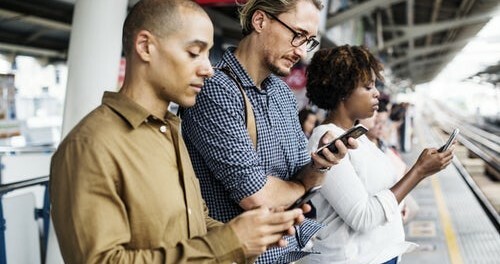 Because more and more people are spending more time on their phones than ever before, creating a mobile app will increase your business’s visibility tenfold. It will do so around the clock, too, as apps operate for 24 hours of the day, every day. Your app will even be seen when it’s not in use — every time a person that has downloaded it accesses their phone and scrolls through their apps, they’ll see yours. If you create a mobile app, your business will, quite literally, be at your customers’ fingertips at all times of the day. They’ll have a medium in which they can always easily ask you questions, place orders, and make complaints pertaining to your business and its services. As a result of all of this, your customer engagement will undeniably be enhanced, and that is only ever going to be a good thing. Having an app, though, does not immediately mean customer retention. You need to ensure your app is of a high quality, has proper functionaluty, and uses push notifications properly. Easy onboarding is also essential; you do not want your customers to jump through hoops when trying to log in or sign up to your app. 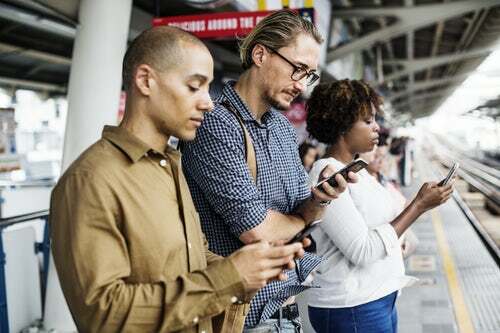 When you have a mobile app circulating on the App Store and Google Play, both your customers and the general public will deem your business to be more professional. When you use one of the best software developer companies to create and build your app for you, especially, you’ll be able to be sure that your reputation will skyrocket. Through the knowledge such a developer would impart on the build, your mobile app would be robust and easy-to-navigate, and it would be able to integrate with your existing websites seamlessly — so, whatever you do, don’t shirk on your responsibility when it comes to hiring a pro! If you want your business to enjoy continued success in its ever-growing market, then creating a mobile app for it is something that you seriously need to consider doing. Doing so will increase its visibility, enhance its customer engagement, make it seem more professional, and bring you host of other benefits.